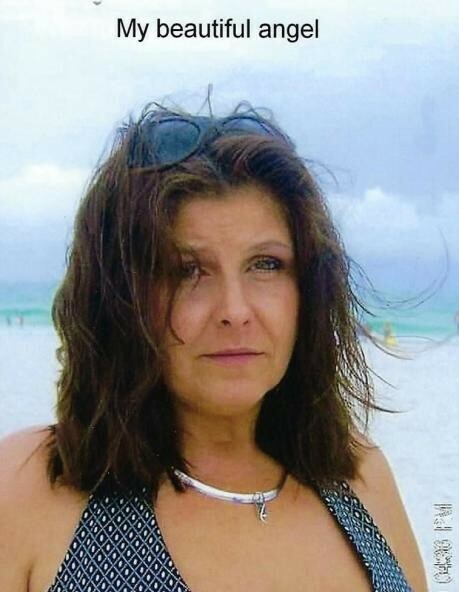 Jestine Marie Metts entered into rest on Tuesday, March 12, 2019 in Branson, MO at the age of 53. Cremation arrangements are under the direction of Snapp-Bearden Funeral Home and Crematory in Branson. Jestine was born on January 19, 1966 in Clayton, MO to John French and Evelyn Sue (Martin) French. She grew up in High Ridge, MO. She later moved to Bradenton, FL. She enjoyed working at the church thrift store with her mother and volunteering her time. She was Catholic and a loving woman of God, always praying for others. She loved to help others and loved her family dearly. She was such a joy to be around, her smile lit up the room. Her greatest loves were her children, grandchildren, and her beloved dog Roscoe and spending time with them. She loved to make others feel loved and smile. She liked the beach, going for long walks and to be pampered. She had great style. She later moved to Branson from Bradenton, FL. Jestine is survived by her children Allen Metts of Bradenton, FL and Brittany Sweat of Branson, MO; her sisters, Candy (French) Russell and Angela (French) Hale; her father, John French and her mother Evelyn Sue (Martin) French and four grandchildren and her beloved Roscoe. She was an amazing mother that lived for her children. She was a loving and supportive daughter and sister. She will be always loved unconditionally and missed but never forgotten. Heaven gained a beautiful angel. She will forever be in God’s arms and forever always in our hearts. Memorial services will be held on Sunday, April 7, 2019 from 1:00 – 3:00 P.M. at Jesus was Homeless Church in Branson off Gretna Road.